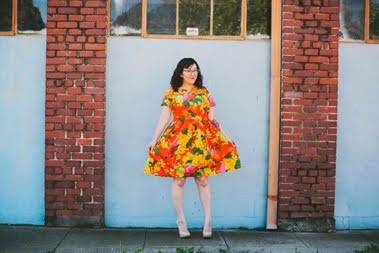 Week of November 5th: Peony Parade - be sure to upload your finished dress into the sew-along Flickr group! I'm really excited! I made a muslin of the bodice LAST FALL *coughcough* and I got stuck with needing to make an SBA. Any way we can source a really good tutorial? I've had such trouble finding one that was useful (for me). Most of them say "do the opposite of an FBA". Can't wait for the sewalong!! YAY I have fabric for two of these sitting in my stash! Hurray!!! I'd love to take part in the sew-along but for the moment, however, none of the Colette Patterns I already own has been chosen yet (and being on a tight budget, I just can't go over to their website and order as I like! Too bad! )...if there's another vote once the Peony sewalong is over (not that I wouldn't be interested, the Peony looks lovely and I'd love to make one someday! ), could somebody please hint at the Ceylon (btw I haven't found any Ceylon sewalong on the web yet...just sayin'! ), Violet, Sencha or Ginger? I LOVE the looks of the Peony and can't wait to see what you come up with for your holiday dress! This is so exciting! I just decided to brave the Peony pattern, and I'd love to sew along. Great idea!